Welcome to the South West Transplant Centre (SWTC), the primary site for renal transplantation in Devon and Cornwall. 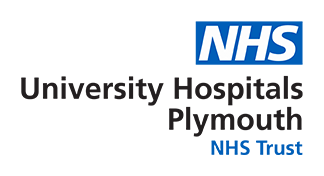 We are based on level 3 of Derriford Hospital, part of the University Hospital’s NHS Trust, and are now over 40 years old. The first kidney transplant was carried out in 1977, and since then the service has grown steadily, transplanting over 1400 patients. On average we transplant between 50 and 60 patients a year from Cornwall, Plymouth and most of Devon, with referrals coming from Royal Cornwall Hospital in Truro and Royal Devon & Exeter Hospital. Renal transplantation is the gold standard for renal replacement therapy, and as such, we make it our duty to provide an effective service that is quick to triage, treat and support our patients. Our transplants come from a range of sources, from a national deceased donor waiting list moderated by NHSBT (typical waiting times are between 12 and 18 months), from living related donors and from altruistic donors. Here at SWTC, we offer a holistic service for renal transplantation, taking our patients through thorough physical work-ups, to the surgery itself and along the road to recovery. Our team is led by Dr Imran Saif, the Director of the Service, and comprises of 4 surgeons, 8 nephrologists, 7 nurses and countless other clinical and administrative staff, all with the sole purpose of making the process of transplantation as easy as possible. Our transplant patients are cared for throughout every step of their journey, and are followed up regularly in weekly clinics in Derriford’s Outpatients Department and in conjunction with Mayflower, the hospital’s renal ward. Derriford Hospital is a teaching hospital, and this ethos carries across in our dedication, not just to the education of our professionals, but also to the patients we care for. This website aims to provide a comprehensive library of data about transplantation, donation and aftercare. Coupled with this, we also provide patient peer support as well as a pastoral service to support our patients onto full recovery. This website is currently under construction, and all feedback would be very much appreciated. Please visit the Contact Us page to find out how to leave your comments.